Bhopal is the capital of Madhya Pradesh state and administrative head office of Bhopal district. Bhopal comes in the category of 14th largest city of India and the 131st largest city in the world. 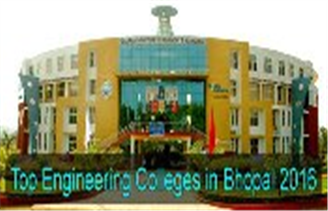 The Bhopal city provides the accommodation to many engineering colleges and institutions that limits the Bhopal. The literacy rate of the Bhopal district is around 82.26 %. In this article, we are emphasizing on the top engineering colleges of the district that promotes higher education in various educational fields. Bhopal district houses many colleges and institutions of engineering. At Singheducation, we have prepared the list of top engineering colleges, including Rajiv Gandhi Technical University and Maulana Azad National Institute of Technology. The standards that measures and ranked the colleges/institutes are: college infrastructure and facilities, affiliations, accreditations, the national importance of the college, education quality and teaching learning method.